Jaguar Land Rover is doing some important research on how to improve the way we work with autonomous vehicles. In factories, vehicles usually use flashing lights and beep to alert workers to their presence. It works to an extent, but we learn to ignore those cues very quickly. Jaguar Land Rover discovered a better approach: an evocative approach. 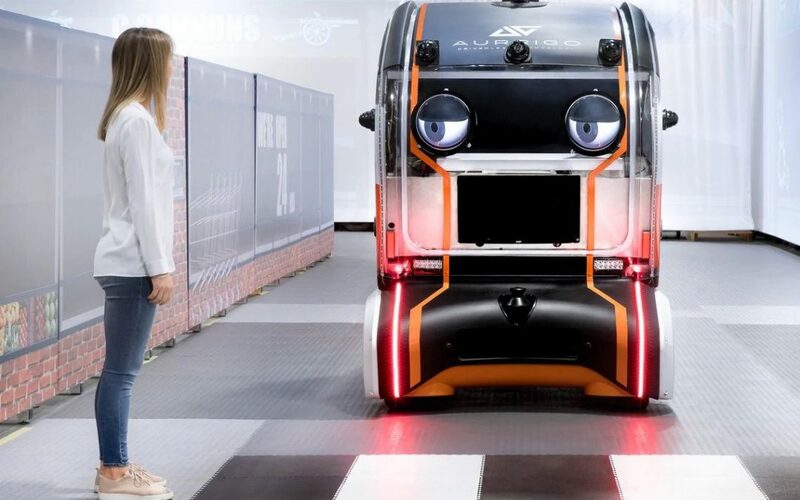 Rather than adding more lights or sirens as a form of logical communication, they took an approach that relied on the emotions the machines evoked in us by fitting vehicles with large eyes that would look at people nearby. The results are instructive. While we have largely trained ourselves to ignore beeps and flashes, when bystanders felt the vehicle was looking at them, they were far more likely to pay attention to it and to yield the right-of-way. The evocative solution is not only more effective but quieter and less distracting. It’s a perfect example of using an emotional connection with a machine to make life a bit better for everyone involved.